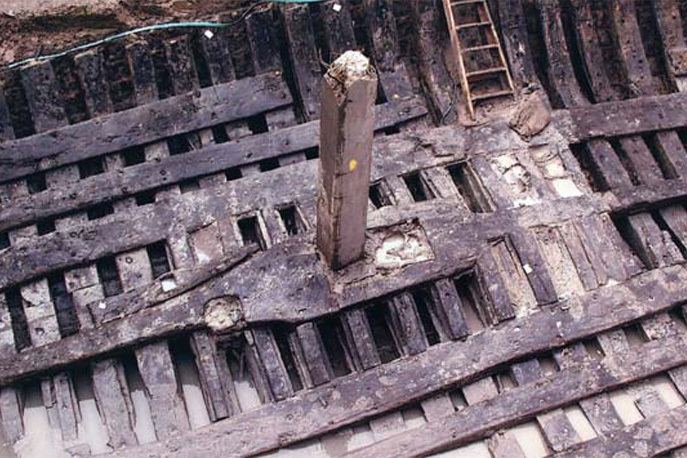 Holes in the ground can contain surprises, but few as significant as the Newport Medieval Ship. 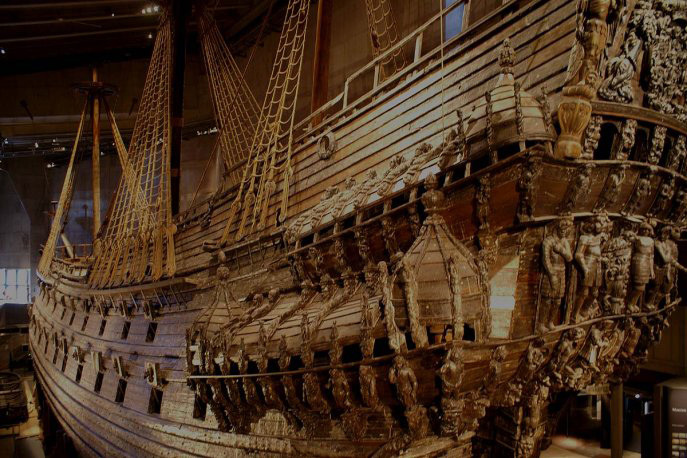 Uncovered during the construction of the Riverfront arts centre in 2002, the ship is the most complete fifteenth century vessel ever found. It provides crucial insight into the nature of shipbuilding in the late-medieval period and can be counted among the most important finds in recent nautical archaeology. Since 2002, the Friends of the Newport Ship have sought to raise both awareness and funds to support the conservation project. The Save Our Ship (SOS) campaign was launched shortly after the ship’s discovery became public. Most large artefacts unearthed during construction projects are re-buried and this was originally the plan for the ship, but SOS campaigned vigorously for the ship’s full excavation. This included a petition, a 24/7 roadside vigil, a ‘mini-Armada’ of boats sailing past the Riverfront site, along with many other activities. On 23 August 2002 the Welsh Government announced a £3.5 million plan to excavate, conserve, and eventually display the Newport Ship. Following this announcement, the organizers of the SOS campaign established the Friends of the Newport Ship (FONS) to sustain public consciousness about the vessel. The organization was granted charity status in 2005, and through its activities it has helped to fund various stages in the conservation process. Volunteers from the Friends host regular open days at the Ship Centre, offering free guided tours to visitors. The Friends also hold talks and events, and have published a guidebook to communicate this unique piece of Newport’s heritage to the public. Today, with the initial conservation stage approaching its end, the role of the Friends is arguably more important than ever. 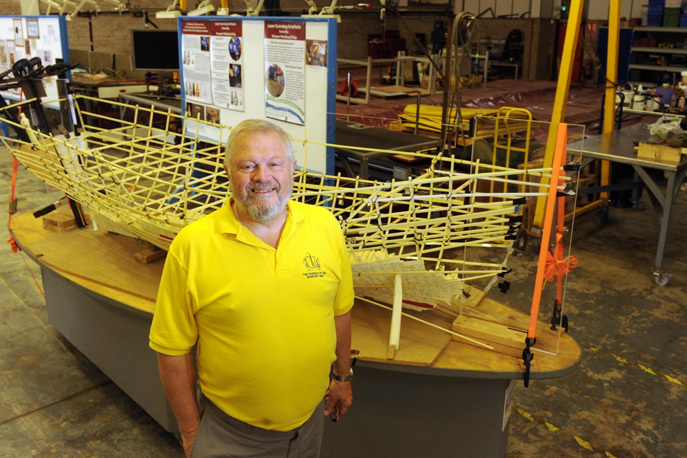 We seek to ensure that the ship finds a suitable permanent home where it can be reconstructed and put on display. Your support will help make this vision a reality! You can join the Friends here and receive regular updates about the conservation process, including an annual magazine. We also need volunteers to guide visitors, man the gift shop and much else besides.